Why aren’t you doing usability testing? Usability testing is such a simple activity yet so crucial to getting designs and products right, yet we hardly do it even though we talk about its importance (yes, sometimes I fall into that group). Clearly, there are some obstacles in the way. But nonetheless, usability tests helps us ensure we are building something in the right way. You may have a great idea for a feature and think you have a great design for it, but until you have somebody use it and show you they can use it, it isn’t anything useful or worthy to brag about. So how can you do usability testing to ensure your great design is truly great even though you don’t have the time or the ability to access your users? I’ve been thinking of starting a blog for over a year. Week after week, I would tell myself that during the upcoming weekend I would sit down, install WordPress and start typing. But I never did. I love understanding people and the real (and sometimes ugly) reasons people think and behave the way they do. Understanding yourself (thoughts + behavior) is scary and difficult, but once you confront yourself, you get to know yourself better, and you start to truly appreciate who you are and what you are capable off. But alas, if you are reading this blog, how how did I overcome my insecurities? What magic potion did I drink that gave me this confidence? This is my first blog post and so I thought I would go big! 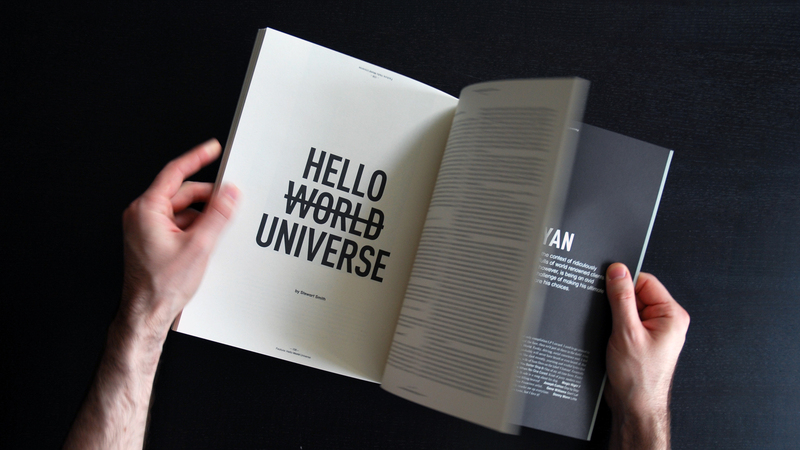 Why say Hello World when you can say Hello Universe! As we get more and more connected to the world universe, a lot of cool, and sometimes not so cool things come to our attention whether it’s design patterns, product development processes/frameworks or useless crap.